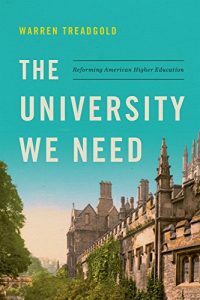 This is an excerpt from “The University We Need,” a new book highly critical of our colleges and universities by Prof. Warren Treadgold of St. Louis University. The state of the American university remains precarious for several reasons. College costs and student debt have reached a level beyond which they cannot keep rising indefinitely. Colleges keep expanding their use of badly paid adjunct professors hired after only a perfunctory look at their credentials. These adjuncts increased from about 13 percent of the faculty in 1988 to about 51 percent in 2011; in 2011 another 29 percent were instructors not eligible for tenure, and only 21 percent were tenured professors. Meanwhile, a growing number of courses are available on the Internet, many for free, raising the question of why students should pay as much as $4,000 for a classroom course when they can take a better course for much less or for nothing. At the same time, many American voters, state legislators, and governors who have a low opinion of professors and their ideas are becoming still more reluctant to subsidize higher education through taxes. Between 1987 and 2012, state and local spending on higher education per full-time student fell by 30.6 percent in constant dollars, while tuition at state and local institutions rose by 100.5 percent. The president of the American Association of University Professors (AAUP) has summed up the consensus among faculty: “The sad truth is that US higher education is in decline.” A poll in 2012 showed that 89 percent of American adults and 96 percent of senior academic administrators agree that American higher education is “in crisis.” When a recent dean of Harvard College writes a book subtitled How a Great University Forgot Education and laments “the loss of purpose in America’s great colleges”—meaning Harvard, Yale, Princeton, and the other elite universities that follow their lead—the presumption must be that something has gone very wrong. These are the opinions of academics, most of whom are by no means conservative. Some authorities still insist that colleges, even if they teach no specific knowledge, at least improve “critical thinking.” But this contention is not borne out by a test designed to measure such thinking, the Collegiate Learning Assessment (CLA). Since the 1980s the improvement in students’ CLA scores during their four years of college has dropped by about 50 percent, and such improvement now averages just 7 percent over the first three semesters. Leaving aside a “marginal” category, the number who were clearly “not proficient” decreased during their college years only from 86 percent to 72 percent in “critical thinking,” only from 77 percent to 63 percent in “written communication,” and only from 84 percent to 73 percent in mathematics. Such measures are hard to dismiss, because if anything the ETS has an incentive to tell colleges what they want to hear. 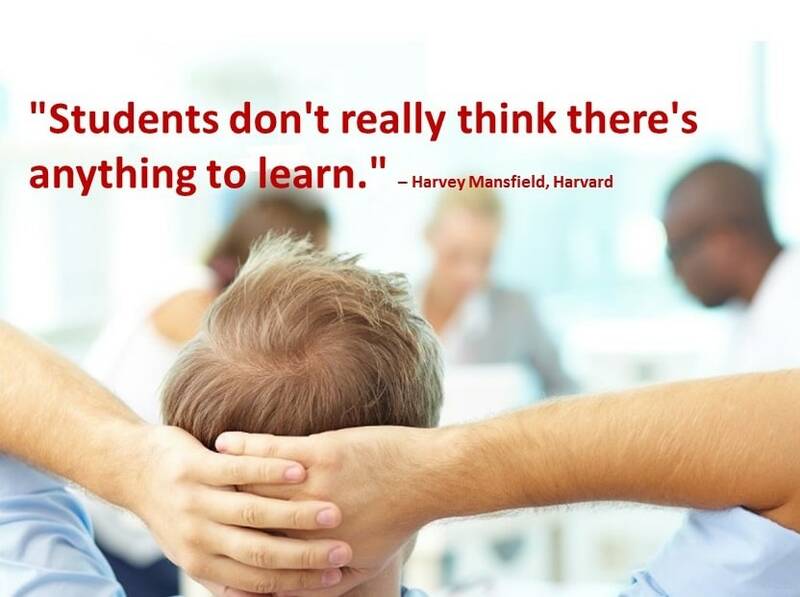 One important reason few students learn much at college is probably that they spend so little time studying. A recent survey found that studying took up an average of only about 7 percent of students’ time at college, and even much of that time was wasted in “studying” along with other students, which brought no improvement in learning and amounted to not much more than socializing. Another survey found that the time students spent on homework and classes combined dropped from about forty hours a week in 1961 to about twenty-seven hours a week in 2004; homework alone fell by almost half, from about twenty-four hours a week to just fourteen hours. Most students seemed to regard college mostly as a chance to have fun before having to work at a job or go to professional school. While such students certainly deserve much of the blame for their failure to learn, professors should also be blamed for their lenient demands and easy grading. The average college student, despite spending so little time studying and learning so little has a grade point average of 3.2 or a high B−. Students at elite colleges, who appear not to study much more than the others, receive still higher grades. Thus, nearly half of college students seem to be studying very little and learning very little—surely not enough to be worth anyone’s spending $100,000 or more for it. Costs could, of course, be cut by having students take their undergraduate degrees in four years instead of five, six, seven, or eight. About twenty-five years ago, some of us who taught at Florida International University (FIU), a large state institution in Miami, noticed that many of our classes had no space for freshmen or sophomores because juniors and seniors, who registered first, were repeating the classes several times. Students who were dissatisfied with their grades (often because they got an F for skipping papers or exams) took the same course over and over again, thanks to university rules that let them replace the first grade on their transcript with the new one. My greatest achievement in the Faculty Senate was passing a rule that students could take the same course only four times. (My original proposal limiting it to three times was considered too radical.) One of my colleagues noted that one problem was that tuition, which the faculty did not control, was too low (then $300 a course, now $638 a course). A worse problem was that many of our students were completely uninterested in their education and cared only about the grades on their transcript. Admissions officers are also to blame: many of the students they admit to colleges, often chosen using criteria with only the most marginal relevance to academic ability, are not ready to do college-level work. Around 25 percent of those admitted to four-year colleges and around 58 percent of those admitted to two-year colleges require remedial courses, and fewer than half of these students pass all the remedial courses they need; even a large number of those who manage to pass the remedial courses fail to graduate later. Whether because of a lack of ability, lack of preparation, lack of effort, or a combination of all three, students’ college completion rates are poor. Almost a third of the students who enroll in (supposedly) four-year colleges fail to graduate within eight and a half years, and almost two-thirds of those who enroll in (supposedly) two-year colleges fail to graduate within six years. At for-profit “four-year” colleges, the six-year graduation rate is a mere 22 percent. Consequently, many students either graduate after taking far too long, at a greatly increased cost and often with a large debt or never graduate at all, with no degree to show for a large investment and often a large debt. Those who fail to graduate represent a waste of resources by almost any measure. While the amount of money spent on American education is obviously too high, concentrating on cutting costs seems questionable when the product is of such minimal value for so many students. For instance, what is the point of having professors teach a larger number of courses from which students learn little or nothing? Even if the average price for a public college education could be cut by a third, $50,000 is still far too much to pay for students not to learn anything. If all students want is to enjoy themselves on a break from studying and working, and the rest of us for some reason consider this desirable, they should be able to enjoy themselves for much less money, perhaps for a year at a pleasant place where they can live in comfortable dormitories and party, sunbathe, or ski with no classes to feel guilty about skipping. If the quality of a college education cannot be improved, we should concentrate on encouraging at least half of those who now go to college not to go, adjusting requirements for jobs and professional schools accordingly, and make provisions for an orderly shutdown or shrinking of most of our colleges and universities. But, of course, the quality of a college education can be improved. The problem is that hardly anyone is trying to improve it. Few people are even paying attention to the defects of higher education as it is now, and some still deny that anything is wrong. Make colleges partially liable (20%-30%) for student loan defaults that are currently underwritten in their entirety by the American taxpayer. Then, if colleges still want to admit under-qualified students to burnish their “diversity” credentials, or award students worthless degrees in some aspect of “wokeness,” the free market will respond, when the best job those “graduates” can get is head barista at a Starbucks, and they can’t afford to pay off their loans. The University We Need—A Lost Opportunity! 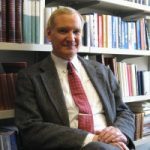 Instead, Professor Treadgold’s excerpts read like a historical review of the literature—adding nothing new—224 pages of higher education issues discussed by university leaders over the last twenty-five years. In writing The University We Need, the acclaimed scholar of the Byzantine culture and history, took a step, clearly out of his league. He’d been better to step back and write: The American University: A Dinosaur of the Past. Well, Professor Treadgold for that concluding statement, you get one star out of five! But the real issue still remains—What do you propose to “fix the defects” of American higher education? Professors grade their students’ performance. Perhaps it would be a good idea to have someone else – perhaps even someone outside the university – grade them, instead. This would place considerable (and perhaps effective) pressure on professors to do a better job. Totally agree. But also look at the SAT curve for the June test. SAT set it before the first test was graded. Flawed system. Sorry, but that is an absurd idea. Someone outside of the university has no idea of what was covered in the course. They have no idea of what the professor’s expectations are. The cost of information has decreased everywhere except at universities. Universities are not held to any standard of truth in what they teach. There are no fact checkers. Consequently, universities have become propaganda ministries for the left, because 90% of university faculties are liberal. So who is likely to get hired in this type of system? Consequently, there are no real opposing opinions or true discussion. Educational institutions have the leverage of being able to give or deny a golden ticket to those who graduate and influence future earnings. So getting into and graduating from college is becoming more like joining the communist party in a Marxist regime, in order to get ahead. States that are leftist, like California, are glad to keep churning out future leftist voters, despite ridiculous budgets and pension benefits. The only way out is for the Federal government to defund those universities that do not submit to curriculum review and to make fund online education more heavily than on campus education. And Congress should regulate tuition fees charged for online university content. Right now, universities have a monopoly which needs to be broken up. Forcing online education to be the norm would increase the number of students and the overall amount of tuition paid. In exchange for this, universities should accept price controls and curriculum review. Admission should be based solely on grades and SAT scores, without any preferences given. University endowments, which are in the billions of dollars, should no longer be 501 c3 organizations. They should be taxed. And at least 10% of endowment income should be used for scholarships. No more federal money. No more unfettered increases in tuition. No more propaganda. No more giving foreign students preferences to get into college so that universities can charge more for tuition. The educational mafia has to be broken up. What about the increase in courses that one might call “dead end” ie, gender studies, white privilege and such? What about professors who indoctrinate rather than encourage critical thinking? The quality of a college education might be improved, but not the quality of the College-For-Everyone students.